At Maximum Wellness Rehab Physical Therapy in Toms River, NJ, w​​e are your first line of defense to address Fibromyalgia, or any symptoms you may be experiencing. 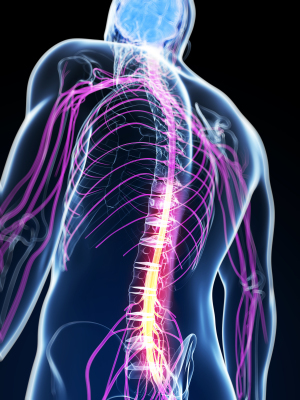 Fibromyalgia is a condition that is characterized by the widespread musculoskeletal pain. This pain causes sleep deprivation, fatigue and mood swings. According to researchers, it amplifies painful sensations, and that affects the way your brain processes the pain signals. In most cases, this disease starts immediately after surgery, trauma or psychological stress. Rarely, the symptoms accumulate after some time. It is more common in women than it is in men. Most people who suffer from the condition also have extended headaches, bowel syndrome, depression and TMJ disorders. People with fibromyalgia are too tired even after sleeping for long hours. Most of their sleep hours are disrupted because of the pain and sleep apnea. The pain associated with this disease is described as a consistent dull ache that may last for more than three months. The pain may occur both below and above your waist. Fibromyalgia can also impair a person's ability to concentrate, focus and remember things. You must engage in regular workouts. That helps ease the pain and the fatigue. Swimming and walking are particularly enjoyable. Aim for at least 30 minutes of exercise each day. You can also balance strength training and cardio to give you better control. Workouts are recommended because they also encourage you to make better lifestyle decisions. Although the ultimate goal of every chiropractor is the same, to relieve pain from the spine, they may not all use the same methods. We have chiropractors who relieve the pain with the help of machines and instruments. These chiropractic instruments have a purpose of adjusting the spine and correcting it so that it is not exerting or getting too much pressure and thus the pain. Other chiropractors do it manually using their hands. They use techniques such as low- force manipulation and join popping to achieve their goal. We allow you as the patient to have a say in which method you want to be used. While Fibromyalgia Toms River is not particularly life-threatening, it does cause symptoms that greatly affect the quality of life. With the right treatment, patients have the chance to get better and live normal lives. The treatment methods listed in this article alleviate pain and make your nights more pleasant and restful. ​If you are suffering from Fibromyalgia, or any of its sympomts, call Maximum Wellness Rehabilitation in Toms River today! (732) 818-1999 or click here​ to Book Your Appointment Today.